Samsung will shortly start receiving the parts it needs to produce its much anticipated folding smartphone, the Samsung Galaxy X. The news, which will have smartphone enthusiasts salivating, comes from an article in The Korea Times, which writes that Samsung "plans to release a Galaxy-branded 'foldable' device, next year" before quoting analyst Park Hyung-woo who says that "parts affiliates and first-tier subcontractors will begin supplying parts to Samsung Electronics' handset division beginning in November, at the earliest, with the company assembling the phone aiming for a launch next year". In addition, the report reveals that analyst Kim Jang-yeol estimates that the Samsung Galaxy X folding phone will be very expensive at launch, ringing in at around 2 million won (this converts as roughly £1,385). The local brokerage is reported as expecting "the upcoming foldable smartphone will have a 7.3-inch OLED screen" that when folded will have a display size estimated to be 4.5-inches. "This new device is an interesting thing as it will have two inside panels and one outside panel with the two inside panels forming the 7.3-inch screen when the phone is unfolded." Now, this information tallies well with previous rumours that the Samsung Galaxy X would have three screens, that the main screen would be OLED, and that it would arrive in 2019. 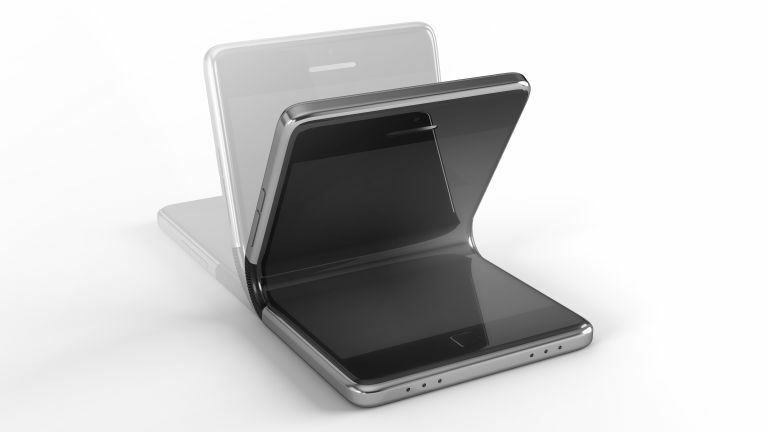 A Samsung folding phone releasing in 2019 also makes sense in terms of the company fending off challenges from rival Android makers, with Huawei rumoured to be well into the development of its own folding smartphone, and also that innovation at the flagship end of the market has dried up somewhat as of late. A one-two double whammy of the Samsung Galaxy S10 and then Samsung Galaxy X, both releasing in 2019, would leave the South Korean maker's competitors reeling, and cement its position as the king of Android. Consider us excited, very excited.